VOLUNTEER - WHO ME? WHY? HOW? NODA needs its members to be successful, educational and fun. Our club is only as good as its members and their participation! All volunteer contributions are valued. Volunteering provides "behind the scenes" exposure and experience of horse related events, the possibility of meeting new friends and visiting with old friends -- PLUS valuable "NODA Bucks". How to earn NODA Bucks! ~ Use your imagination! How can you help NODA? Calling all NODA Schooling Show Volunteers! Multiple ways to Sign Up! EXCEPTION : NODA bucks used for NODA education events have Variable Value! When you volunteer your time to NODA, you are given one NODA Buck for every hour you volunteer. They Never Expire! Use them like Cash! Use them when entering or registering for any NODA Sponsored Schooling Show, Education Event, or renewing your annual NODA Membership Dues! To apply for NODA Year End Awards, you must attach four (4) NODA bucks earned in that competition year to your Competition Report Form(s). Only 4 NODA bucks required, no matter how many awards you apply for. See AWARDS for complete details. You don't want to miss out on these awards, trophies and scholarships! Questions or Concerns about NODA BUCKS? Contact Dee Liebenthal at Treasurer@nodarider.org. NODA Bucks applied toward NODA Education events will have a variable value. Your NODA Bucks could be worth several times their face value. Members will be notified of the NODA Buck value in each specific NODA Education event registration form. 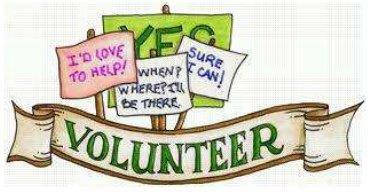 We want our members and volunteers to know how much we value their time and efforts! Example. The Education Committee may assign a value of $5.00 per each NODA Buck for a $60.00 event and allow a member to pay up to half of the full fee in NODA Bucks. This means you can use six (6) NODA Bucks and $30.00 to pay for the function, or Four (4) NODA Bucks and $40.00 for the same event. It just depends upon how many NODA Bucks you have! We hope that this important change will enhance the appeal of volunteering for NODA, and let our volunteers know that NODA recognizes that member time is worth so much more than a buck! If you would like to serve on the NODA Board or on a specific committee, please contact President@nodarider.org or VP@nodarider.org. Go to OFFICERS page to see all the committees and board member opportunities. 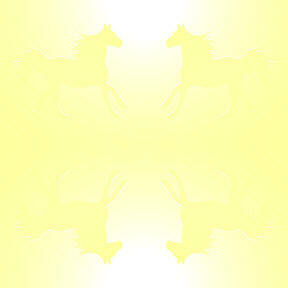 WHAT MAKES A GOOD HORSE SHOW? Judges? Weather? Footing? All of these, Plus VOLUNTEERS are essential for a Successful Show! Did you know it takes over 100 volunteers for the Summer NODA Recognized Shows to run smoothly? WHY SHOULD YOU VOLUNTEER EARLY? To avoid the rush for the job you want, of course! AND when you volunteer, don't forget to collect your NODA Bucks! 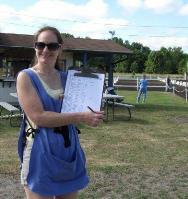 HOW CAN I SIGN-UP TO VOLUNTEER SCHOOLING SHOWS? There are two ways to sign up. On-Line or by E-mail/Phone. Click here for Instructions & Information.